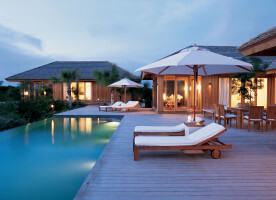 Why A Retreat To Turks & Caicos? Feeling a little tense? Well, we could offer you a massage, but we think you deserve something a bit more special than that. Like maybe a trip to a dreamy private, exclusive island resort in the northern Caribbean. Naturally, we have all your island getaway needs covered, so trust us when we tell you that a retreat at Parrot Cay in the Turks & Caicos Islands is exactly what you’re needing. Feeling relaxed there isn’t a possibility, it’s a given. What's So Special About Turks & Caicos Islands? To get to the exclusive Parrot Cay island, hop on a boat transfer from Providenciales for a relaxing 35 minute trip through the beautiful blue waters. 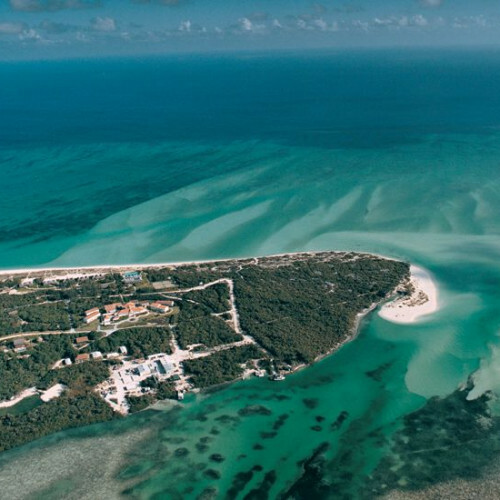 Soon you’ll be met with the blissful sanctuary that is Parrot Cay: a thousand acres of pristine white-sand beaches, crystal waters and lush tropical landscapes. Parrot Cay has spacious, elegantly furnished rooms and suites available. For an intimate and utterly tranquil escape, book out a beach house or villa of up to three bedrooms. 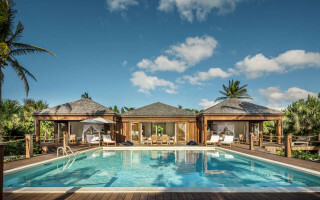 If you really want to go all out, there are next-level luxury villas like The Sanctuary, comprised of a three-bedroom house and two four-bedroom guest houses, owned and decorated by fashion designer Donna Karan. Naturally, it’s as stylish as all get-out and includes outdoor jacuzzis, swimming pools. Parrot Cay villas and houses have their own private pools, and many have direct beach access as well as the 24-hour services of COMO’s acclaimed butlers to satisfy your every whim. Now doesn’t that sound better than a massage? Go on — book now.